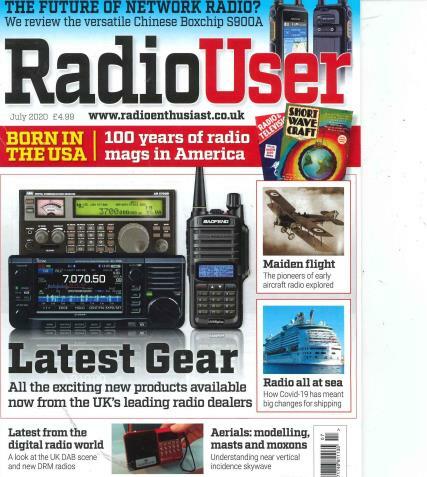 Radio User is a magazine that was first published in the year 2006. It’s basically a clubbed version of the Radio Active magazine and Short Wave magazine, both of which are more than fifty years old. Buy a single copy or subscription to Radio User magazine. Thousands of readers eagerly buy the latest issues of this magazine every month, at the earliest. Anyone having a hobby in Radio can subscribe to this magazine. This is the best guide and informative magazine for you. Radio User gives all the latest information about short wave broadcasting. It covers all forms of radio listening details, like broadcasting, scanning, airband DXTV, weather satellites, military and civil airband, decode, utilities, etc. These features are published regularly in every issue with details. It gives ample opportunity to those who have a hobby in radio and helps them to go about in simple constructional projects to nurture their hobbies. So, if you have a similar hobby, or if you are simply interested to know about this, just grab a copy of the latest issue of the Radio User.